Private players may soon be allowed entry into nuclear energy production. Planning Commission deputy chairman Montek Singh Ahluwalia said as much minutes before he went in to deliberate on the draft Integrated Energy Policy with the plan panel. 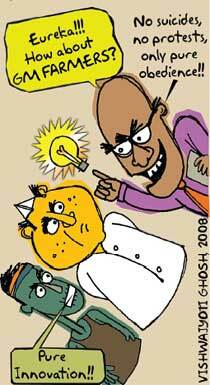 The law will, however, have to be amended to allow the private sector to set up nuclear plants, he added. In a sequel to the waiver by the Nuclear Suppliers Group, the Planning Commission suggested that India needs to vigorously pursue its nuclear energy programme to meet growing energy needs. "If we raise nuclear power generation based on imported fuel by about 40,000 mw in the next 12 years, we can achieve 6,00,000 mw nuclear power output by 2050 by using thorium technology," said Ahluwalia. The new polio outbreak in Nigeria could put the world at risk. The virus has already begun to spread to Nigeria's neighbouring countries, said who. "It's the only country in Africa battling with polio epidemic; it accounts for 91 per cent of polio cases in the continent," said the director general of who, Magaret Chan, at the 58th session of the who Regional Committee for Africa. The resurgence, says the organization, has crippled 612 children in 23 Nigerian states this year alone. The worst affected are the northern states. Health experts believe the vaccine-resistance is the cause of this epidemic. 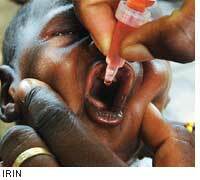 In 2003, an immunization drive was rebuffed in some northern states like Niger, Bauchi, Kano and Zamfara, reportedly based on rumours that the polio vaccine was laced with infertility causing drugs and hiv virus. The Supreme Court has expressed concern over the National Human Rights Commission (nhrc) report on the atrocities committed by the Salwa Judum programme in Chhattisgarh. At a hearing on September 19, the apex court pointed out that the nhrc report criticizes the programme to counter Naxalites for the atrocities committed. The court, too, believes "Salwa Judum has committed serious offences. The people have been subjected to serious problems." The court has asked the state government to file its response on nhrc's recommendations of remedial measures before it announces elections later this year. The next hearing of the court has been scheduled for October 23. In April, the court had asked the nhrc to probe the allegations of human rights violations by the Salwa Judum. The Cabinet approved implementation of the National Biofuel Policy, mandating a 20 per cent blend in petrol and diesel by 2017. Petrol mixed with 5 per cent ethanol is at present sold in the country. The policy will now push it to 10 per cent. Blended diesel is not in the market as yet for lack of biodiesel supply. 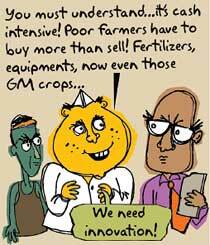 This is because biofuel is generated at the cost of food production. Land cannot therefore be made readily available for growing jatropha, the common biodiesel source. The policy, however, calls for scrapping taxes and duties on biodiesel. It also classifies biodiesel and bioethanol as 'declared goods' to ensure uniform 4 per cent central sales tax (vat) across states. It mandates that a certification mechanism be put in place for the blending exercise. Firms led by Bayer CropScience, a Germany-based pesticide manufacturer, have lost the legal battle to overturn a eu ban on endosulfan. On September 9, the European Court of Justice dismissed all arguments put forward by the firms against a 2005 eu decision to end the marketing of endosulfan. 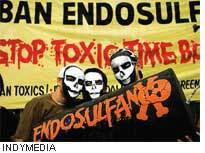 Endosulfan is a persistent organo-chlorine pesticide and is highly toxic. Not on eu's list of approved pesticides, it cannot be used in eu nations. Pesticide manufacturers sued the European Commission, alleging that endosulfan had been unfairly excluded. They had challenged the ban on citing "procedural flaws and unfairness of the evaluation procedure". Endosulfan is banned in 57 countries. In India, Kerala alone banned it in 2002. Countries like Brazil, Canada and the us are reassessing its use. Karnataka has extended the 'scope of inquiry' of the Lokayukta (the state's corruption watchdog) looking into mining irregularities. Chief Minister B S Yeddyurappa says the move is an effort to end illegal mining across the state. "Mining, if any, shall be permitted only for value added activities such as setting up steel plants or sponge iron plants," he said. Initiated by the former chief minister, H D Kumaraswamy, the Lokayukta has been investigating illegal mining deals in the state between 2000 and 2006. With the recent order, its enquiry period will extend upto September 9, 2008. 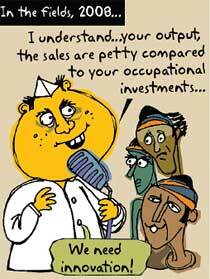 "Once we submit the enquiry report, till 2006, it will require some immediate attention and changes in the system. The government may want to bring about some changes and act on it. We will then look at the extended period,'' said Lokayukta Chief Justice Santosh Hegde. Meanwhile, the Karnataka High Court has also banned mining in forestland and suggested nationalization of iron ore mining. The Zimbabwe dollar moved one more step closer to extinction after the central bank on September 10 authorized the use of foreign currency, as 'legal tender', in the country. The use of foreign currency has been widespread since the elections earlier this year. At present, there are three types of foreign money and two local currencies (original and revalued) in circulation. The us dollar and South African rand are in use across the country, while people in western Zimbabwe, the industrial city Bulawayo, prefer Botswana's pula. 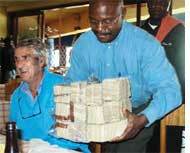 The Zambian currency, Kwacha, and the Mozambican currency, metical, are favoured in northern and eastern districts. The local unit's demise is a consequence of Zimbabwe's hyperinflation--at 11.2 million per cent in June. Though the Reserve Bank introduced a new bank note in August, it became scarce after a German company supplying paper to print the currency discontinued its contract following eu's sanctions on Zimbabwe. The sanctions were for making a mockery of democracy in the recent presidential elections. On September 15, President Robert Mugabe signed a power sharing deal with the opposition leader Morgan Tsvangirai purportedly to bring political stability. As things stand, it will take the country many years to recover from the economic meltdown. Over 80 per cent of the Central Kalahari Game Reserve (ckgr) in Botswana was destroyed by fires in early September. Spread over 5.2 million hectares, ckgr is the world's second largest wildlife park. Aerial inspections showed no wildlife deaths occurred since animals fled to safe zones. But the vegetation was damaged, said officials. Human rights group Survival International reported the fires have scorched the dry grasslands in the northern part of the reserve, threatening the survival of Kalahari's Bushmen. It has destroyed wild melons-a vital source of water for Bushmen. The Tourism Board fears the fires will have repercussions on the tourist inflow in Botswana. New Zealand on September 10 passed a climate change bill to set up the country's first emissions trading scheme. "The bill will help the country meet its obligations under the Kyoto Protocol," said the government. Once, trading in carbon credits begins in 2009, New Zealand will become the first nation, outside the eu, to have national cap-and-trade system. Under the bill, all sectors of the economy will be assigned limits on the amount of greenhouse gases they can emit; those exceeding their quota will buy emissions credits from less-polluting sectors. New Zealand aims to be "carbon neutral" in the total energy sector by 2040. With rising domestic fuel bills in the uk becoming a major political issue, Prime Minister Gordon Brown has offered 1 billion (us $1.8 billion) to help those vulnerable to fuel poverty. Under the Home Energy Saving Programme, pensioners and poorer households will get free cavity wall and loft insulation; all households will be offered a 50 per cent discount on the refurbishment. Half a million customers will have their bills frozen and cold weather payments to the most vulnerable will go up from us $15.7 a week to us $ 46 if temperatures drop consistently below freezing this winter. Brown says the measures will help households save us $500 a year. Of the total cost, us $1.6 billion will be borne by energy companies who will carry out the insulation work. Though Brown says the costs will not be transferred to consumers, power producers say they may not be able to avoid it.